Posted on March 16, 2016 by admin Posted in Recipes	. Fry the bacon and break into small pieces. Save the bacon grease. Cut sprouts in half and chop the onion. 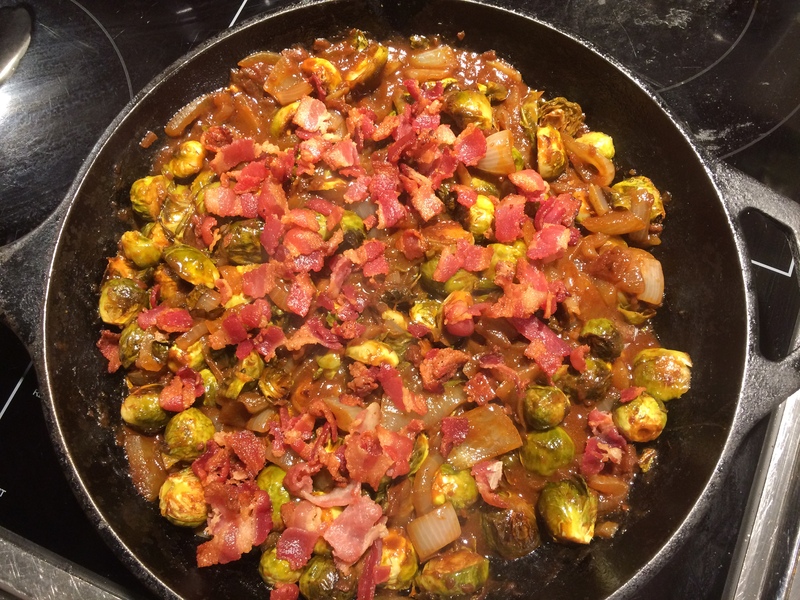 Place the sprouts and onions on a baking sheet and pour on the bacon grease and mix into the sprouts and onions. Drizzle olive oil over the sprouts and onions and bake at 375 degree for one hour. Put the cooked sprouts and onions into a bowl and stir in ½ cup of your favorite Bentley’s Batch 5 Barbecue Sauce. Add the crumpled bacon on top and serve.